Pinot Grigio. Some people love it, others hate it but both for the same reason. Pinot Grigio (pee-no gree-ji-oh) is about as plain vanilla as you can get in wine. It’s supporters claim its middle-of-the-road characteristics make it versatile and a great common-denominator wine when trying to serve a crowd. It can also be produced cheaply so most Pinot Grigios are on the shelf in the $10 and under range. Its denouncers retort that in a world as diverse as wine, Pinot Grigio is uninspiring. Compounding this issue, the EXPECTATION of Pinot Grigio is lower so less-than-reputable producers can flood the market with less-than-stellar examples. However, Pinot Grigio CAN be a great wine and there are certainly good examples to be found, particularly if you look for wines from Alto-Adige or Collio in Italy’s Friuli-Venezia region. Otherwise, getting a Pinot Grigio from a reputable producer, particularly if they work in small lots, will give you something more enjoyable in the glass. For even more adventure, look for “ramato” style wine, in which the juice spends a little more time on the skins and takes on a copper hue and more complexity and texture. Pinot Grigio makes a wonderful porch sipper, aperitif, or pairs with delicate white meat and fish as well as greens. On the palate you’ll typically find green apples (or zippy lime if the grapes were picked early), light florals (especially fruit-tree blooms) and hints of minerality. Wines from regions that see more sun will have a bit more nectarine and peach flavors. 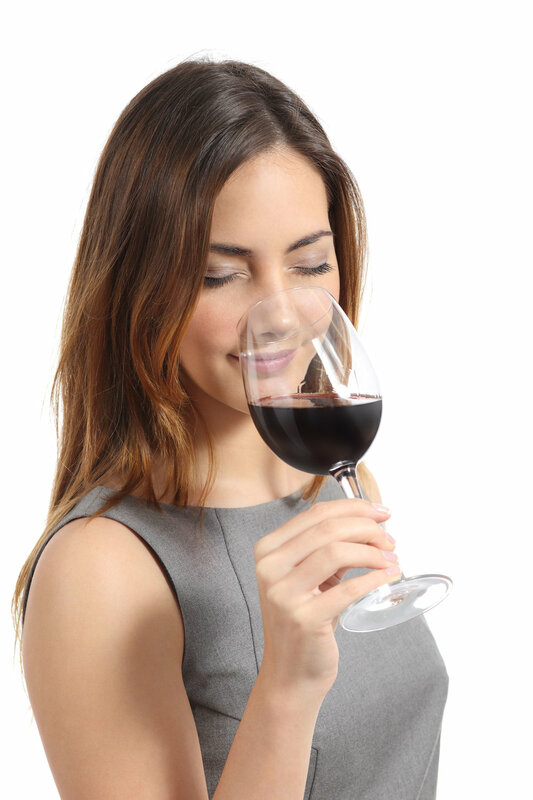 These wines may also undergo malolactic fermentation which will further soften the acidity and allow the juicy fruit flavors come through even more. Inexpensive Pinot Grigios are made to be drunk young but ones at higher price points ($20 or so) should be good for several years. But this blog post isn’t just about Pinot Grigio. If you have ever tried a Pinot Grigio next to a Pinot Gris, it will blow you mind (as it still does mine) that these are the same grape. 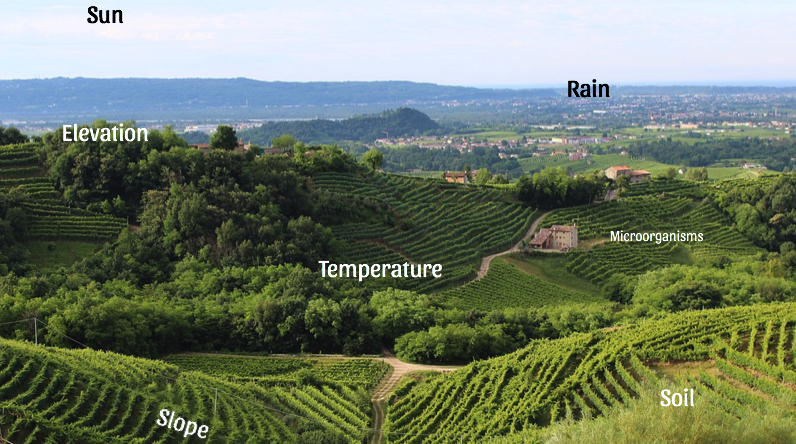 Benchmarks for Pinot Gris (pee-no gree) come from Alsace, France, but Germany also produces Pinot Gris under the local name Grauburgunder, and Oregon has had some great success also. These wines typically have a fuller body, medium acidity, and lush pit fruit flavors. Frequently, you will also find a slight honey-note in these wines as well, especially if they are late-harvested. In Alsace, winemakers of the past were looking for a French answer to Hungary’s famous dessert wine, Tokaji (tok-eye) so the varietal was once known as Tokay d’Alsace. Some sweet Pinot Gris are still made in this area as well as in Germany where you might see Ruländer on the label. Perhaps second only to Riesling, Pinot Gris has the potential to be a great age-worthy wine in good vintages and by reputable producers. After a decade or so, the honey tones will intensify and notes of hazelnuts, brioche, and smoke can be found. "Gris" in French is gray. Pinot Gris grapes, which are a mutation of Pinot Noir, retain a grayish-blue color. If you are pairing a medium-bodied Pinot Gris, try it with grilled fish or roast chicken. Full-bodied Pinot Gris can be matched with creamier sauces, foie gras, or veal. Asparagus, which has a reputation for being the problem child of food and wine pairing, goes quite well mild-mannered Pinot Gris. When grown in Italy, you will nearly always see “Pinot Grigio” on the label. When grown in Alsace, you will see “Pinot Gris”. With few exceptions, you will know if you are buying a lighter, crisper style or the fuller, more rich style. If you are lucky, producers from other regions will label their wine Grigio or Gris to let you know what to expect from the bottle but there is no hard and fast rules that govern which name they use. If the wine is labeled Pinot Gris and comes from a cool climate, chances are good it is Alsatian style. If your wine is labeled Pinot Grigio and comes from a warm climate, it it a good bet it will be bright and citrusy. Otherwise…take a chance! You can spend $10 or $100 on a bottle of wine—one is cheap, one is expensive, but the question of value is entirely different. To get value in wine, you want to find where the highest quality meets the lowest price, and that convergence can work in any price range. The quality of the $10 wine may not be able to compete with the $100 bottle but if the $10 bottle of wine drinks like a $20 bottle of wine while the $100 bottle is not discernable from a $50 bottle, then it must be said that the $10 bottle show greater value. 1. Choose a non-estate wine. It is generally believed that estate wines are of superior quality because they control every aspect of the wine making process from growing to harvesting to producing. Estate wines, however, have the added cost of managing the estate. Property tax, machinery, utilities, labor, etc. are all costs that are passed on in the price of the bottle. There are many labels ranging from one-man operations to multi-million dollar companies that purchase grapes rather than manage their own vineyard. Most will have contracts with vineyard managers covering how the farming should proceed so they are not completely blind where the viticulture is concerned. If you see a region on the label such as “California” or even “Central Coast” on the label, chances are pretty good the wine is not estate. 2. Buy wine from less expensive regions. If you are a wine drinker, you know the big names like Napa Valley, Bordeaux, Borolo, and Rioja. Wines from these regions are known for their quality, so they are popular, thus they command higher prices in the market. By looking for wines from regions that aren’t in the spotlight, you can save big. Some of these regions might be long-producing but not in the public consciousness like the Eastern European country of Moldova, or the southern regions of Languedoc in France or it could be an up and coming region such as Uruguay. 3. Look for unusual varietals. Similar to the above advice, there are certain varietals that may offer similar profiles to wines you know (Zinfandel, Sauvignon Blanc) but are more suited to local climate and soil. Malbec experienced this story—nearly extinct in France, it found a home in Argentina and together, they were launched onto the international stage. As you explore lesser known regions, explore their lesser known varietals and you might find the next Malbec! 4. Pick a blend. Blended wines have been critical to the wine world for centuries if not from the very beginning of winemaking. Creating a blend allows the winemaker to showcase the best characteristics while shoring up faults. This can be particularly important when Mother Nature presents a less-than-ideal growing season. The Cabernet Sauvignon may have the acid and tannin while the Merlot has the ripe fruit characteristics. Put them together to get a better wine than each would create on their own. In this way, you can have less-than-perfect grapes but still make a quality wine. In the United States, many blends will carry a brand name on the label such as “The Prisoner”. In the Old World, blends are not only expected but regulated. The buyer has to know the grapes allowed, however, as these wines are most often labeled by the region they are from. Sometimes finding a great-value wine means taking a chance on something you’ve never tried before so I would encourage you to take advantage of professional expertise, tastings or a restaurant’s flight choices, the chance to split a bottle among friends, or a by-the-glass option. Keep exploring and you just might find your next favorite!